Rosene was a grateful person, often saying Thank You to her family and friends. 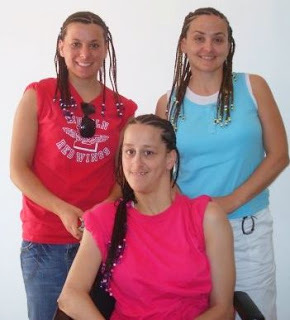 She knew, in a real way, how much humans need the love and support of others – many times even making a card on her computer to express how much she appreciated someone and what they did for her. 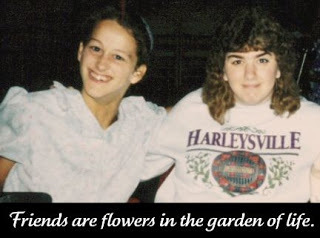 Rosene lived with my parents and also had a room at a nearby personal care home, where she met Faith and the two became great friends. Faith helped Rosene with her computer and read to her. They listened to music and teachings together. A favorite program of theirs was Joni and Friends by Joni Eareckson Tada. 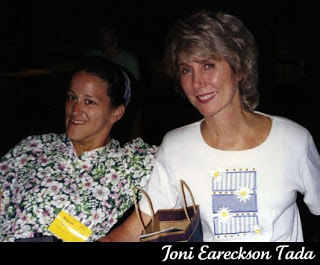 Rosene was thrilled to meet Joni a few times at events and/or camps. We need each other to hold up our hands! Just like Moses needed Aaron and Hur to hold up his hands. I too need friends to hold up my hands! in Christian love can mean so much. 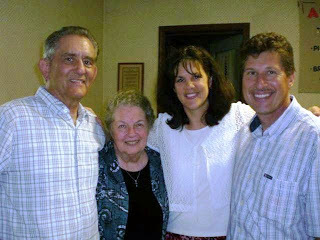 In Post 2, I mentioned that Rosene was involved in a local church and Bible study – Pastor Ed and Helen Kurtz, along with Rachel and Richard Deeds, were the folks that welcomed Rosene and showered her with love and support. 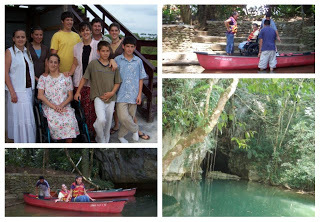 After the Deeds moved to Belize to pastor a church there, Rosene dreamed of visiting them. So in March 08, my niece and I took her on her first trip outside of the states. So thankful we did, because her health declined soon after that. needed it for a Belizean feel. Along with hanging out with the Deeds, we did some sight-seeing and were able to give Rosene some new experiences. I helped her write her thoughts about one adventure after we came home. We went sightseeing to Barton Creek Caves where you explore a cave in a canoe. As we talked about going into the cave, I was excited to try two new things that I’d never done before – canoeing and going inside a cave. It was a slightly bumpy process to get me settled on the cushion in the bottom of the canoe, but once I was in, I was comfortable. As we floated through the cave, I was amazed at the big, beautiful rocks deep inside of the earth. God created them thousands of years ago and only a small number of people every saw them. Why did He bother even making them? What was the point? Yet, there they stood – strong and beautiful. I decided God had a special purpose in creating them, even if I do not understand it. I thought about all this, because it is something I have wondered about myself over the years. By reflecting on the rocks, I realized that God also has a purpose for me, even if I do not understand what or why. One joyous thing I thought of is the fact that I have something the rocks do not have – a personal relationship with God. I can understand and feel his never-ending love and care for me. I praise Him for that! I've read through all of these posts, and all I can say is wow. I'm truly humbled. What a wonderful and beautiful lady. Billy – yes, she was! Janet: Wonderful writings about and by your sister Rosene. Thanks for sharing them in your blog. We all sometimes need to be reminded that the transient limitations we all face could be greater and that we should "bloom where we are planted."